The standardized car loan interest rate in 2019 is 8.60%. But, you will not this interest rate on every bank and non-banking financial institutions. You will be able to see some banks and NBFCs even starts charging car loan interest from 6.99%. The rate of interest of any loan in India is decided by the banks individually, but they are directed by RBI. There are some regulations set by RBI to control the interest rate of loan in India. Basically, there are certain rates on the basis of which the loan interest rates are decided. Those are Base Rate, Repo Rate, Reverse Repo Rate, Prime Lending Rate (PLR), Cash Reserve Ratio (CLR), and Statutory Liquidity Ratio (SLR). As these rates vary from one lender to another, that is the main reason why the rates of interest of a loan vary in different banks and NBFCs. The scenario is same in case of a car loan. 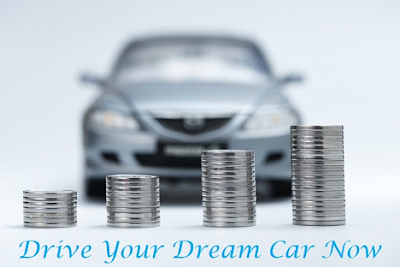 A car loan is a form of secured loan where you keep your car as collateral with the lender and get a loan to own it. But, the rate of interest of a car loan is pretty higher than that of a home loan. Though both are secured cars, there is a remarkable difference between the interest rate. When it comes to car loans, you should be restricted up to a four-wheeler. We are basically talking about auto loans including both two-wheelers and four-wheelers. It can be noticed that a new two-wheeler interest rate generally available at 6.99% and a four-wheeler interest rate available at 8.99%. Just like this, there are various factors other than the lender factor that determines the interest rate of a car, a bike or scooter. Those factors are types of vehicles, credit score, applicant’s profile, loan principal, and tenure. When it comes to vehicle’s type, it can be categorized as car, bike or scooter. There can be other categories such as superbikes, supercars, premium cars, SUVs, etc. Similarly, there can be one more category as new car or used car and you can apply for a loan for both new and used car. But remember, the rate of interest of a used car loan will be different or rather higher than a new car loan. The second factor is credit score. You need to have a good credit score to get a loan sanction. If you have a score of 750+, you will be eligible to avail the same interest rate mentioned by the lender. But, if your credit score is lower than 750, your interest rate will start increasing. The lower will be your CIBIL score, the more interest you will have to pay to the bank. So, it will be better to improve the credit score first and then apply for a loan. The third factor is the applicant’s profile. If an applicant has a risky profile in terms of income, profession, location of residence or anything else, the rate of interest of a car loan will increase. The fourth factor is the loan principal. Some lenders also charge different interest rates as per the loan amount. The last factor is tenure of the loan. On the basis of the loan tenure you choose, your interest rate will be decided. But, whatever interest rate is offered to you by the lender, you must check car loan EMI with help of some tool, so that you can budget your monthly expenses accordingly and never miss an EMI or become a defaulter. We have mentioned to compile and create a list including all the major banks and NBFCs in India. However, it is your responsibility to compare among all these lenders and take a wise decision while taking a car loan. Because, your one good decision can make your life easier, or a bad decision can ruin your financial balance.